Networking is one of the most powerful ways to uncover unadvertised job opportunities, obtain referrals, learn about a position, the organisation and the industry. I was recently reading an article about networking and how technical skills and knowledge accounts for 15% of the reason for getting, keeping and advancing in a job, and 85% of success is about people skills! A big number I know, and yet a similar statistic is continually repeated in different ways – 20% jobs are found through traditional job search methods, and 80% through tapping into our networking, referrals, i.e. using those people skills. Networking is a key to success, and yet many clients that I work with do not actively access this method when they are looking for work, researching what they want to do, or looking for a change in career. And yet networking is one of the most powerful ways to uncover unadvertised job opportunities, obtain referrals, learn about a position, the organisation and the industry. Although networking is one of the most successful techniques to secure the job you want, why are we so hesitant to network? I think the biggest reason is the misunderstanding of what networking is. 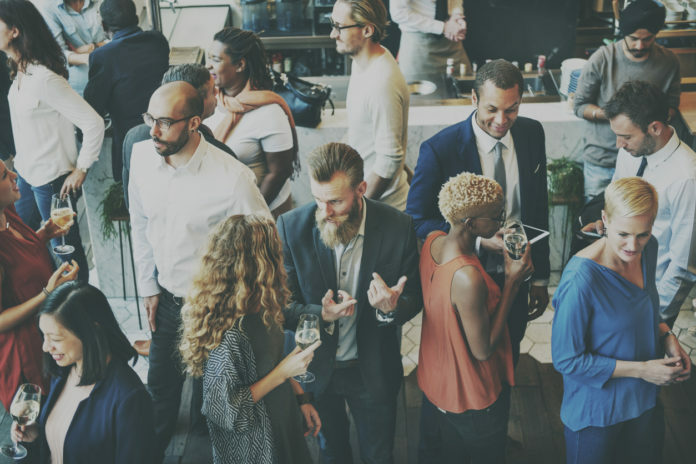 Networking is NOT about asking for a job – it is about making a connection and building trust and a mutual relationship. It is about being yourself, listening to people and what they advise, and about following up on the connections that are made. The first place to start is with those who are in our own network – our family, friends, neighbours, work colleagues, past organisations, etc. Your own network is full of people who work in a range of organisations. Your network may have parents, or children, or aunts or uncles who work in many different places. You already have a great network to start the process. So if you want to find out about a particular role, company, or industry, start with your own network. The first thing is to turn up! – If you are not there, then networking will not happen! If you are wanting a referral, or a further meeting, ask for it – if you don’t ask, you don’t get! Remember to follow up! We meet great people all the time that come in and out of our lives. If you have made a connection, follow up, either with an email, or through LinkedIn. None of this is rocket science, but starting to be more intentional about those you connect with could end up in you getting your dream job. Start slowly and remember, relationships are built on mutual trust take time. If you would like to know more about effective networking and how to increase your success in securing the job that you want, get in touch today!